Gravity conveyors are the most cost effective and versatile materials handling solution. Loads are conveyed on rollers, skate wheels or ball castors. 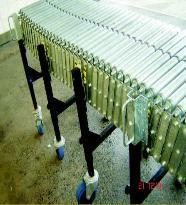 These conveyors are usually slightly sloped to allow the product to flow freely by means of gravity. Some conveyors are fixed to the ground while others are mobile allowing the conveyor to be moved to where they are needed. We offer a variety of conveyor systems and materials handling solutions, all designs are tailored to suit the customer requirements. 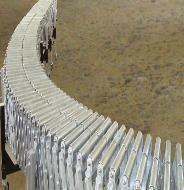 Our organization has rich expertise in manufacturing a quality-approved range of Roller Belt Conveyor. We offer our Roller Belt Conveyor, trough type rollers and plain roller conveyors at industry leading prices. Its cost effective prices and qualitative features have earned a number of clients to credit. It is especially useful when an incline or decline is included in the conveyor path. 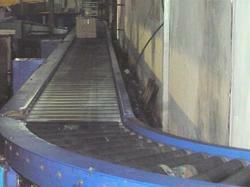 Looking for Warehouse Roller Conveyor ?